This is a guest blog post from Brian King, founder of Room Recess. Brian reached out to me because he believes in teaching math creatively as well. I was thrilled to get him on this blog because his website is awesome, especially knowing he programmed these games himself. We all know that students love gaming, and this type of thing often inspires students to learn more about programming, too. Parents and teachers are always looking for ways to keep their children engaged, motivated and driven to learn. I know this because I am both. I’m Brian King. I have two children of my own, am a third grade teacher and the developer of RoomRecess.com, an educational website for children.It always bothered me when students in my class would get done with their work and spend time on the computer doing things on sites that were advertised as educational, but were far from it. So I decided to create a website just for my class that would host games they could play during their down time, that also reinforced what I wanted them to practice. As a teacher, I know that most children don’t get the repetition they need with many of the basic skills required for a successful learning experience. What better way to reinforce these skills than to integrate them into the very games they play in their free time. It all started with a simple game called Cheese Race. I started with two cartoon mice that had to race to a piece of cheese, except the only way to move the mouse was to get multiplication problems correct. It was a big hit in my classroom, so from that point I became very motivated, seeing my students’ joy of learning in this way, and began developing about one game per week, focusing on the skills written out in our Common Core State Standards. I called my website RoomRecess.com (primarily because it was something my kids started playing in the winter when they were stuck in the classroom for recess). Right now, RoomRecess.com has nearly 40 games, all categorized by grade or subject matter (math, reading skills, spelling, and language arts). 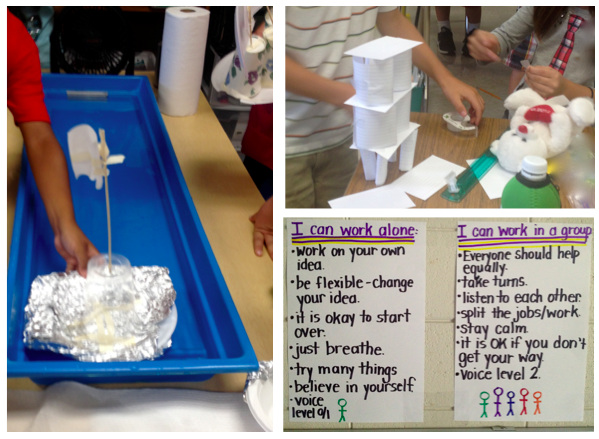 When I sit down to develop a game, I first think, “What is something my class gets excited about?” (ice cream, thunderstorms, snowball fights) and from there, I insert something I feel they need to work on and try to add varying levels for other grades. 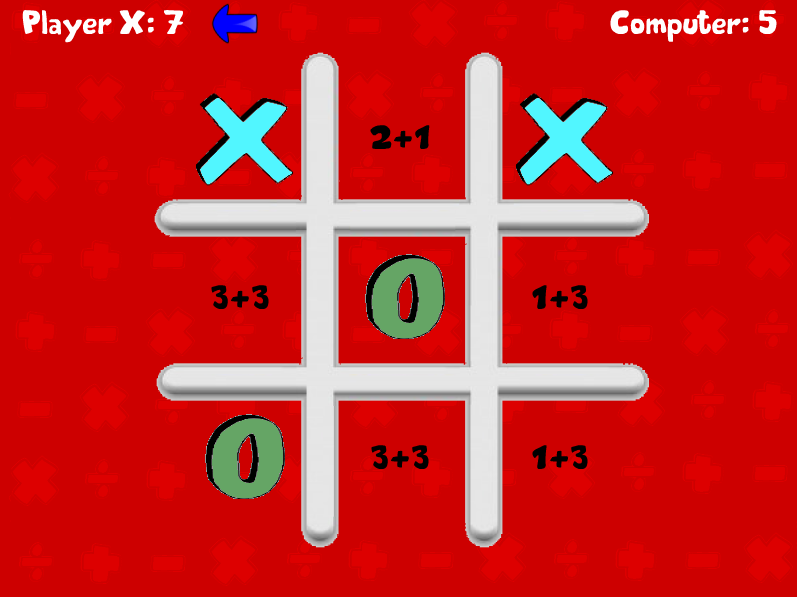 One of my personal favorites is Tic-Math-Toe, a game that children can play against a friend or the computer. Either way, they have to answer a math problem correct in order to place their X or O on the grid (difficulty ranges from kindergarten to 5th grade). Most of my games are designed to be played on an interactive, projected screen like a Smartboard, and many of the games can be played together or as teams, but all of them can be played from a desktop computer or laptop. I designed a flash card game that could be played on the Smartboard in such a way that allows them to play in teams. Flash Card Races (I call it) allows the children to pick team names, the winning score, and problem difficulty. It’s a great way to start off a morning or get them engaged just before a lesson. My personal favorite is Word War. In Word War, each player has a tank and get 30 seconds to spell a word from 12 randomly chosen letters. Upon completion, cannonballs are fired from the tank, each containing a value equal to the value of the letters used to form the word. A few other popular games are Zombie Paintball (number patterns), Snowball Fight (basic facts), Bango (place value), and Bounce (spelling). All games at RoomRecess.com are free and available for everyone to play at any time. There is no requirement to sign up or hold an account. It’s a great resource for teachers and parents to use with their children at home or at school. The only requirement to play is that the device you use has Adobe Flash Player, which most computers already have, but can also be downloaded for free. 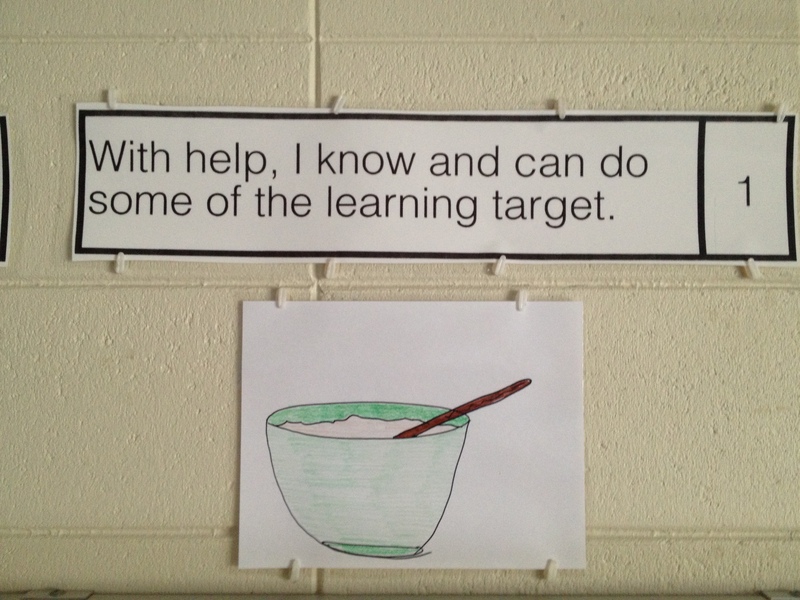 Last year there was a push in my school district to examine how we set up and deliver learning targets. I converted all of my mini lessons from adult language to kid friendly “I can” statements, made sure they were at the top of every lesson I taught and read them carefully to students. I assessed whether they met them or not at the end of lessons with my formative assessments, and I would spend time frantically trying to “catch up” students who didn’t meet them. Something still didn’t feel right to me. 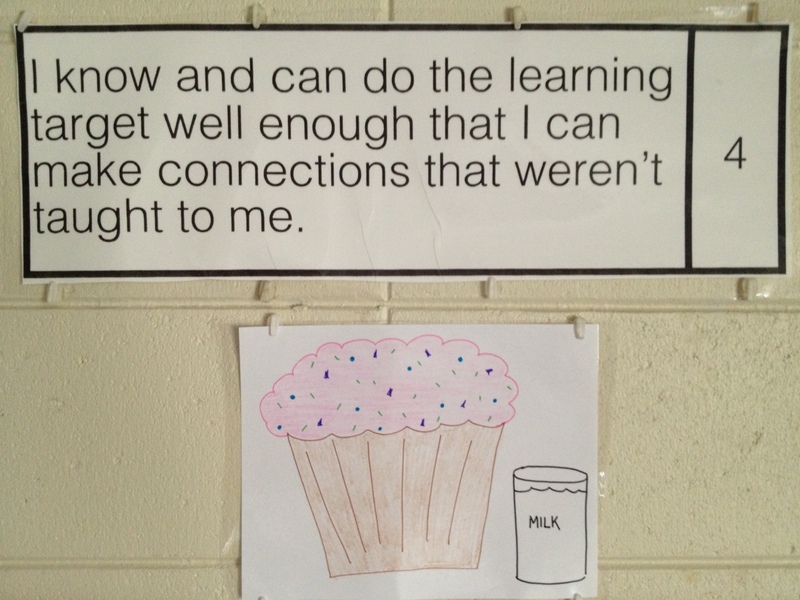 I felt like the students were not owning their learning. 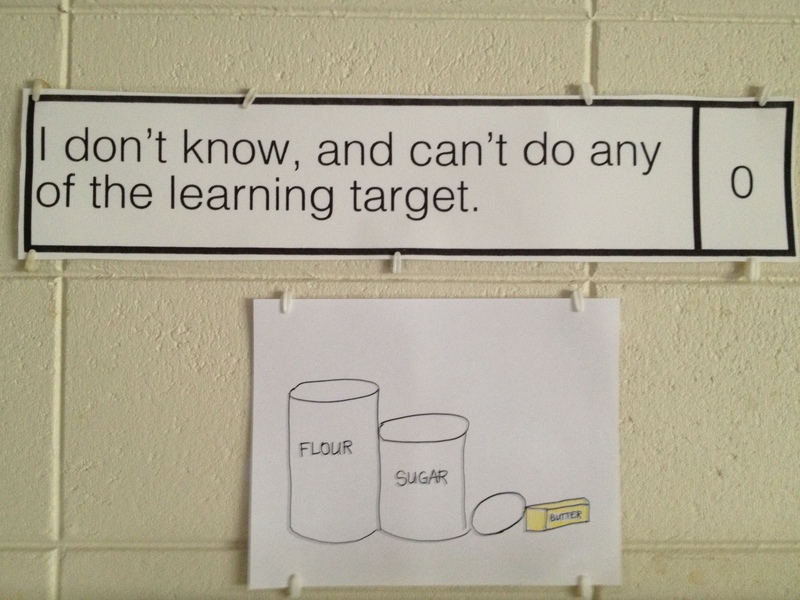 So over the summer I did some research about how to make learning targets more meaningful to students. I stumbled upon Marzano’s Levels of Understanding. I had this bright idea that maybe students could rate themselves at the beginning of a lesson, and again at the end. I wasn’t sure how that would work until yesterday. First I had to post the levels of understanding on the wall where students could refer to them often. 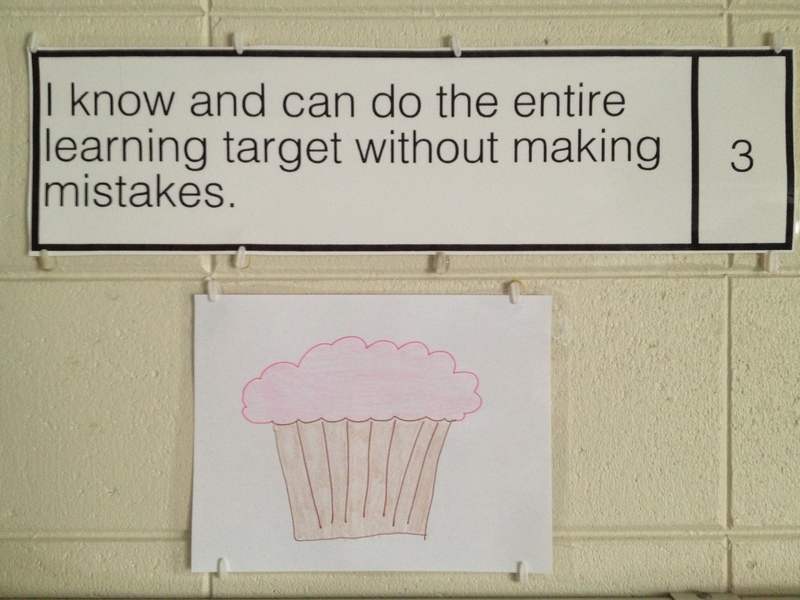 I explained them with the pretend learning target of “I can make cupcakes”. 0: You have the recipe and the ingredients out, but you can’t even get started. 1: You get the ingredients mixed (with an adult) in the bowl, but that’s all you can really do. 2: You get it all mixed, pour it into the baking pan, but you can’t work the oven, it is too hard for you. 4: You not only make the cupcake, you add sprinkles and serve it with milk, because it’ll taste better. I gave this a try during math yesterday. I read the learning target: “I can write a number up to 1,000 in expanded form.” I asked them to rate themselves on their learning target in their math journal. As I peeked over their shoulders, I noticed a few 1’s and a lot of 2’s and 3’s. I went through the mini lesson, had them practice several problems, and gave them an exit slip. After they were finished filling in their exit slip I brought them to the carpet for closure. I asked them to rate themselves again right on their exit slip. Then, I explained that to get to recess, I was looking for people who achieved a 3 on the level of understanding chart. Suddenly I noticed some uncomfortable shifting and squirming with a bunch of the students at the carpet. A couple of them raised their hands and asked if they could redo their slip. I realized that holding them accountable this way was weeding out the students who finished their exit slip in a hurry (not caring if they got it right) to get to recess. The number of students that I would have to follow up with the next day dropped from 8 to 2! Holding them accountable with this scale let them know that THEY were the ones in charge of their learning, not me. While I am not sure if I’ll be able to do this for every lesson, I’m sure going to try! The impact on their learning and their precision to the learning target was awesome. In our classroom we’ve been working through the math practice standards. We just finished number 5 today: Use appropriate tools strategically. Last year I researched the math practice standards, re-wrote them to be kid friendly, and turned them into learning targets. I can use the right tool for math, and explain why I chose it. We talked about the kinds of tools that mathematicians use, and they came up with a healthy list. After that, I read the problem, made sure to show them where to find the manipulatives, and turned them loose to work. I thought this math practice standard would be a breeze! In the past I’ve always offered the appropriate math tool for them, taught them how to use it and that was that. This is the first time I’ve ever asked THEM to choose a math tool from a bunch of options. I learned today that math tools are much more complex than I expected. The result of today’s lesson was a total surprise. (I LOVE that even after 8 years of teaching I can still be surprised.) Every student in the room was comfortable with using the manipulatives, but only about 5 out of 25 were using them effectively. Rather than thinking about what tool might help them solve the problem, many of them chose tools based on their shapes. 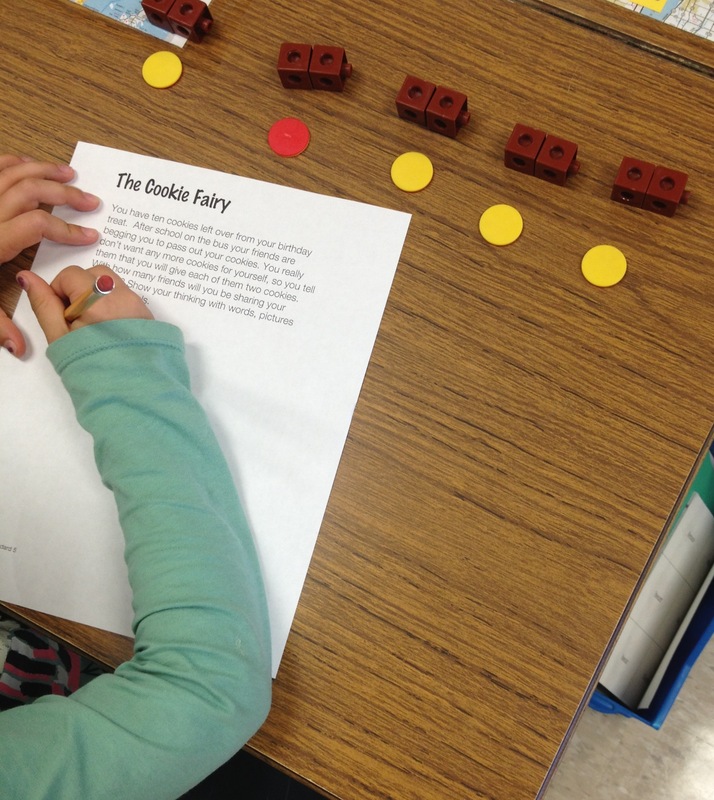 For example, the problem was about cookies, so they picked the fake money manipulatives because they were round and they could trace “cookies” on their paper. They were using a math tool (clearly not the right one), they could explain why they were using it, but their use of it was not exactly accurate for the problem type. I took this moment to reflect and think about how I can incorporate math tool use more intentionally. I think that there are many tools appropriate for third grade. 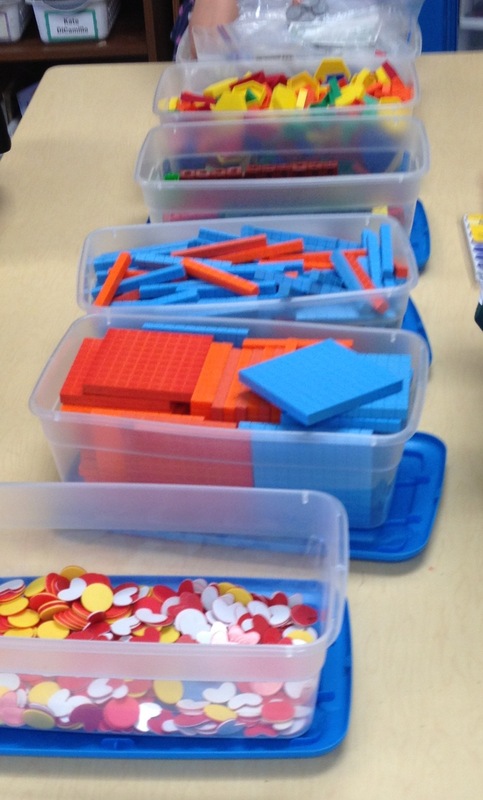 I used to think that math manipulatives were just for kindergartners or the early primary grades, but I have realized quickly today that their complexity is vast and allows for deep thinking. I am excited for the challenge of exploring each tool’s unique properties! Problem solving seems to be an issue time and time again every year in my classroom. When the math practice standards came out, I thought that they paired nicely with problem solving. These standards are deep thinking math habits that students can try to develop for all areas of math, but I noticed specifically how they were helping my students problem solve. 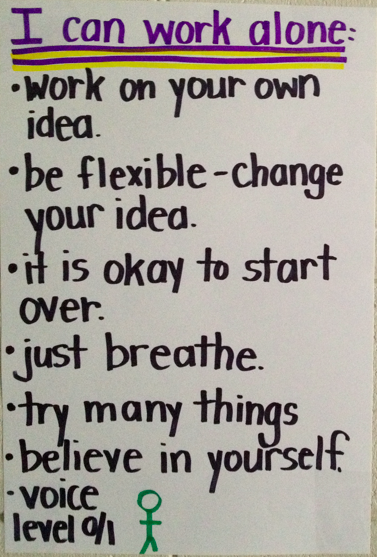 I developed a way to introduce these standards in the beginning of the year as a way to start up my math workshop. There are 3 components to how I do this. 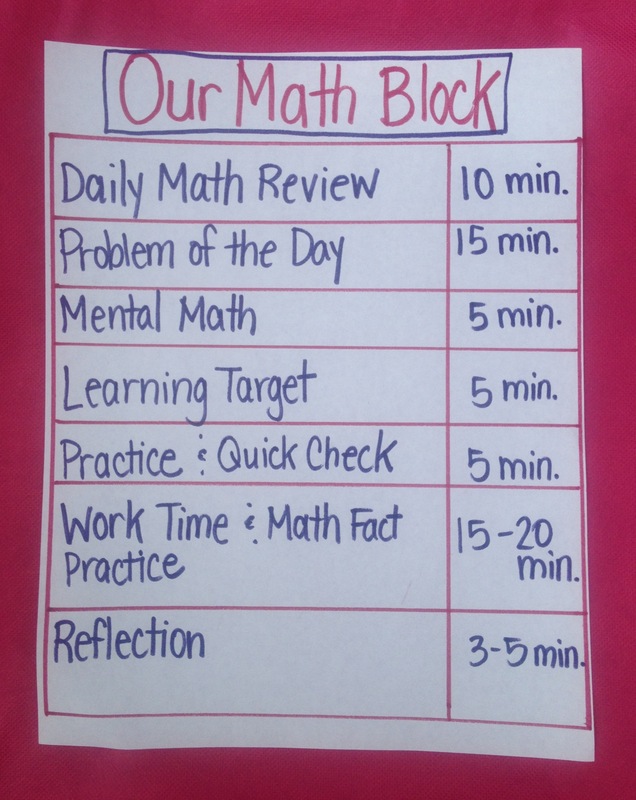 It takes 20-25 minutes per day of my math workshop for this process for my third graders. That means I can introduce all of the math practice standards in about a week and a half. The photo above is a screenshot of my SMARTBoard today from the Guide to Introducing Math Practice Standards. We’ve been introducing the math practice standards each day during math by working out a problem that is related to the standard. I am a firm believer that students can become better problem solvers by seeing each other’s strategies and by describing their thinking. Every day when we work out a problem I choose two people to go up to my chalkboard, and one person to go up to the SMARTBoard. They write their strategy out for others to show how they solved it. While students show their strategy, and explain their thinking to their classmates…I start to see the lightbulb go on for those students that day who did not understand the problem. I allow the students who did not get to go up to the board to ask questions and give compliments using the math practice standards in their language. Today was an awesome example of that happening! After they explained their thinking the students complimented the people at the board for not giving up, noticed how the young man underlined the question to the problem, asked how they knew to multiply instead of divide…it was just beautiful. The math dialogue flying around the room was amazing. It gives confidence to the students in the spotlight, and clarifies the problem for the people at their desks. As an example, I closed the lesson today by asking the students to rate themselves using Marzano’s Levels of Understanding. We hung up the math practice standard poster with a student’s sample paper. We talked about how we can continue to use that standard every day, and as if on cue one student shouted “especially the part about not giving up!” If anyone had a less than 3 rating, we talked about what we could try next time. Seeing how far the students come from the first week of school to the end of the year is very motivating for us all! Well I did it again! I started the first day of school with a project, this one a little different than what I have done the last few years. I like to start the first day off with a bang. I asked the students to perform a complex task where I give them minimal directions. 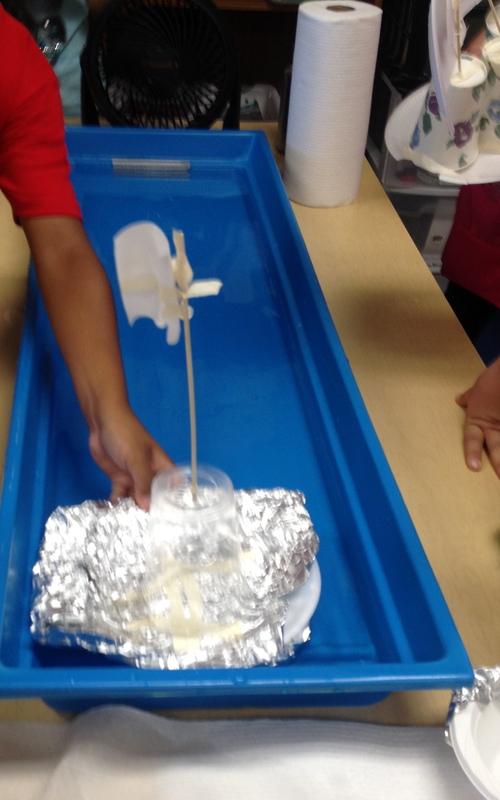 The Task: Build a boat that could sail across a four foot channel of water in 30 seconds or less. They could use a variety of materials that I set out: aluminum foil, paper plates, paper bowls, cups, straws, napkins, tape (almost all of these items were leftover from classroom holiday parties last year). They could also test their design as many times as they wanted before the “official test”. They were given 30 minutes to build their prototype. Once the shock of learning that I was not going to tell them how to build it wore off, we began to see some pretty exciting stuff. They went back and forth from the supply table, many of them trying several different ideas. There were so many feelings/things happening in the room, frustration, anxiety, excitement, nervousness, celebration, dismay, selflessness, idea “stealing/copying”, and not all of the feelings were good feelings. I took that moment to realize that sometimes we have to use these authentic experiences to help students identify ways to get better at work habits. As soon as all of the boats had sailed, we sat down at the carpet in front of my easel to make the first half of my anchor chart. We came up with things to put under “I can work alone”. I was delighted by their thoughts. This worked so well, that I thought I’d try for “I can work in a group” the next day. 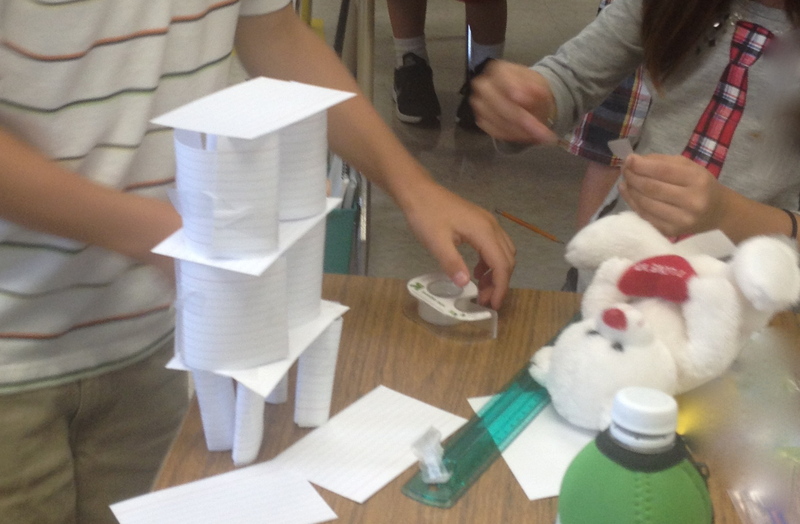 The Task: Build a 12 inch or taller tower to hold a stuffed bear out of notecards and tape. Each student was given a bag of materials: scissors, scotch tape, index cards, stuffed bear and a ruler. This time it was a group activity. Again, there was a wide variety of things happening in the room. Some groups worked perfectly together, others argued over supplies, some spent time doing individual towers, others fought over whose idea was best, I was most impressed with the group that gave each other jobs. The voice level in the room got louder, and louder, and louder. 5 of the 7 groups came up with viable options that worked after 20 minutes of building. I realized quickly that third graders are not nearly as good at working in groups as they are working alone. We met again at the carpet to discuss “I can work in a group.” Again, their frustrations turned into the positive on the chart paper. It was amazing to work through their negative thoughts, to turn them into goals for the next time we work in a group. 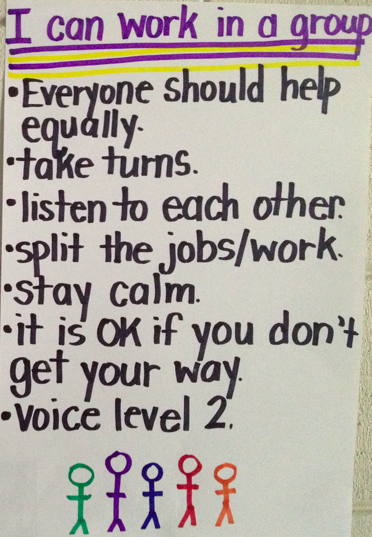 I’ve taped the anchor charts to the wall, and plan to refer back to them often (especially in these first few weeks). I hope that it will lead to more risk taking when working alone, as well as more peaceful group work. I’ll let you know how it goes! Yesterday, I was in my classroom preparing for the beginning of the year when a brand new teacher came in to talk to me. He was explaining his feeling of pure panic for the first day tomorrow. Eight years in, I still have that same panicky feeling, but there is SO much I’ve learned since that time. His main concern was math. He explained that we have so many things in place to set up routines for literacy workshops, but not for math. So we talked through some great ideas for how to launch a math workshop. When it is okay to talk? When is it individual time vs. group time? What does your math workshop sound like? Where are the math materials located, how should they gather them and return them? What does a typical math block look like? Good mathematicians take risks and make many mistakes. 2. Spend some time working through the Standards for Mathematical Practice. A few years ago when the common core came out, most people had no idea what the math practice standards were all about. I took some time to write out how I teach them last year, so that I can start the school year with a detailed plan. 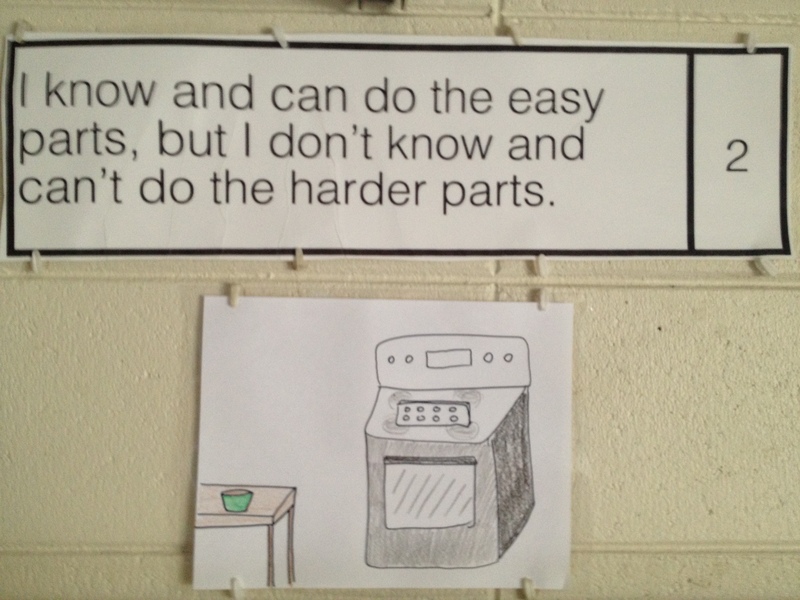 Then, I post them up as anchor charts with student work. Those standards will be an underlying theme as you practice math all year. 3. Get to know your students and trust their reactions. Find out their attitudes about math from the beginning. If you feel things are not going well, you are probably going too fast. If something is too hard, you’ve covered too much too quickly or the difficulty is too high. Check back to the Common Core to see if it is really something that should be mastered. Check with your team, how fast are they pacing their content? Good luck to all of the new teachers out there! You’ll be amazing! The veteran teachers around you will be inspired by your energy, enthusiasm and fresh ideas. We learn just as much from you as you learn from us.